Picking that this enlarged version of a popular medium model is set for significant local market success is a cinch, given that a near-twin that arrived last year is already doing so well. LAST year Volkswagen introduced a medium seven-seater sports utility that took the sector by storm. Having seen that landmark model settle in, VW is now releasing … a seven-seater medium SUV. Wait, there’s more. Coming soon … and forgive me if this sounds familiar … a new VW SUV, in a medium seven-seater format. Just a little in-joke about Volkswagen Group’s platform-sharing proclivities. Some days you’d be forgiven for imagining that all 10 brands under its control were busying working up available VW-developed hardware to meet their own tastes. Still, it’s clearly all on in the SUV sector, where the MQB underpinning seems to be getting pulled every which way. 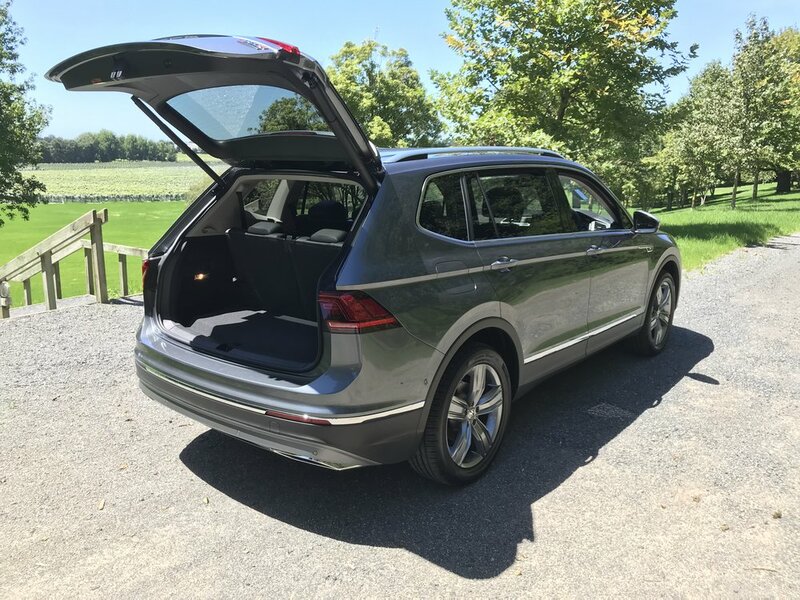 That’s why the Tiguan Allspace, a version of the popular five-seater stretched to accommodate a third seating row, might immediately seem familiar. Thias recipe is already here and doing nicely, as the Skoda Kodiaq, and is set to come out yet again in 2018 as the SEAT Alhambra. All peas from the same pod? Given they share so much, it’s fair to suggest that while argument about these three all being sufficiently different to stand apart is not without merit, it’s not exactly hole-proof either. Call it a compliment to Skoda, but certainly a first meeting with the stretched Tiguan delivered immediate sense of deja vue about another car of similar attributes in similar quantities. Still, with all three brands being represented by a common distributor, and each aiming at slightly different consumer sets, and with the SUV sector delivering such amazing returns - last month accounting for an exceptional 42 percent of new car sales - there’s probably room for everything, right? The Kodiaq has VW NZ’s respect. How could it not? Their version is really raising Skoda’s local profile, all the more after becoming the latest recipient of the prize most desired by the country’s vehicle distributors, New Zealand Car of the Year, as awarded by the New Zealand Motoring Writers’ Guild. Despite a recent price hike that put up every sticker by $3000, it still trades on impressive affordability. That’s not to say VW NZ is fazed. Bullish volume prediction for the Allspace suggests quite the opposite. That’s understandable. The regular Tiguan itself is on an impressive ascent, having achieved almost 1900 sales in 2017, double that of 2016. Yet maybe they would prefer Kodiaq kept something of a distance, lest comparison cause … erm … confusion. Even though the stylings are not same-again, and there’s some price disparity, there’s a sense - even without conducting a direct comparison - that anyone seeking to cross-shop might find more similarities than differences. Is this perhaps why, when asked if could give reasons why someone who might have both cars on their shortlist should prefer the Allspace, the national distributor could cite but one technical point of difference. That the VW product, in all but base form, is rated to tow 2500kg braked, a 500kg increase over the Skoda. This aside, the position centres more on the ideal that VW’s brand credibility is stronger. Which might seem a bit sketchy to those who understand that Skoda recently beat the parent in in-house quality audits. (Which shouldn’t be seen as a slight against the Allspace sourcing out of Mexico – quality seems on par with the five-door, which continues to come out of Germany). Now is not the time to stage a showdown. But just for the record it’s worth noting not just that Skoda in any event reaches out with seven models in four trims levels (in five and seven-seater form, one front- and the rest four-wheel-drive) whereas VW has six Allspaces, all but the base having all-wheel-drive, at three trim levels, while retaining three five-seat Tiguans too (siting $5k below their seven seat equivalents). And also that, while both lineups kick off at $47,990, VW tops at $76,990 (versus $61,990). An extra $15k can go a long way these days, but it’s not clear what extras it specifically buys here. From first appraisal, in respect to comfort and safety systems, gearboxes (six and seven speed DSG) too, there’s simply a lot of sameness. It comes down to power. Actual as well as brand. Yet there is difference under the bonnet in that, while capacities (1.4 and 2.0-litre petrol, 2.0-litre turbodiesel) are common, power and torque outputs do differ at the high end. Allspace/Kodiaq provisions a 110kW/250Nm 1.4, a 2.0 petrol with 132kW/320Nm and a diesel with 140kW and 400Nm. But VW is keeping to itself another 2.0-litre petrol souped up to make 162kW and 350Nm and 176kW and 500Nm. These reserve for R-Line editions arriving in June. For all the commonality of hardware, there are no common hard surfaces. In fact, from the front, the Allspace also differs in fact from even the five-seat Tiguan we’ve had for the past year, debuting a significantly revised nose inspired by the colossal US-only Atlas family SUV. The roofline is higher and cosmetic changes to the side profile include some intriguing character lines. Yet, in terms of scale, the upsizing is so subtle that any additional bulk is well disguised. But it is bigger; with 215mm extra length over the standard car, body length stretches to 4.7 metres overall, with 109mm of that in the wheelbase. It’s a good-looking car, if still erring a touch too far toward conservatism (but that’s typical VW, right), and also a lot more practical than the regular Tiguan, because even though most of the extra dimension is given over to second and third row seat and leg room, to the point where the boot volume is a compact 230 litres’ with the rear chairs up (so, a bit less than a certain other), that spaces rises to a hugely convenient, 700 litres with the third row folded away. Which is mainly will be because the far-most seats are really only for the school run, being designed for occupants of 1.57 metres height or less. In terms of instrumentation and layout, the driver’s environment is no different to the five-seater’s. There’s the same high driving position and decent visibility, though you do tend to think more carefully about lane changes and the like, due to the longer body. There are plenty of soft-touch materials, but it all feels very solid and hard-wearing, save for the folding picnic tables on the back of the front seats. these look and feel fragile. Were they tested on kids? That said, ergonomics are very decent, with a simple touch-screen infotainment system and an intuitive dashboard layout, while the most expensive editions take a large digital information screen instead of conventional dials, which can be configured to display different information. Time and location restraints dictated opportunity to try the range restricted in reality to a 70-minute, mainly motorway-restricted hoof in a 140kW diesel Highline; hardly a condition from which too many hard and fast judgements could be formed. 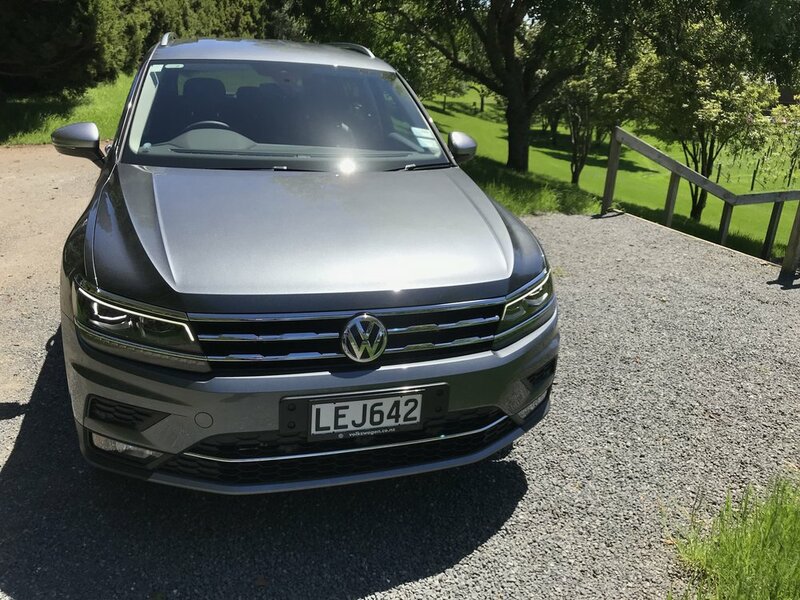 It does seem obvious, though, that anyone who has come out of a standard Tiguan it going to struggle to notice much difference in driving style. A longer wheelbase should create a more settled ride height, plus more composure and stability when cornering – something to check out in due course. First impression is that it certainly feels ‘comfortable’ in that regard, absorbing surface imperfections nicely with little in the way of body roll. This engine is an interesting one. Diesel should in theory be the best way to go with a car such as this; the muscularity inherent to the type and the promise of decent economy are going to beneficial, particularly for long trips, not least when carrying a full quota of seven people. Certainly, this unit has more than enough low-down oomph to suit that purpose. On the other hand, though, it sounded a bit gruff at times and, when the foot went down, there was a noticeable delay before the power fed in. This model comes with the all-wheel-drive 4Motion transmission, which maximises traction on the move and should add a sense of security when traversing gravel or further beyond. The Allspace is not wholly inexpensive but bear in mind that until now the best selling model has been the top of the range $67k R-Line and, also, the strategy reflects desire to make room for other soft-road cars are still to come. These being the new Touareg, coming later this year and, in 2019, the T-Roc and T-Cross compacts.